This motor is used to rotate the horn assembly and the Rotosonic drum in newer Leslie speakers. 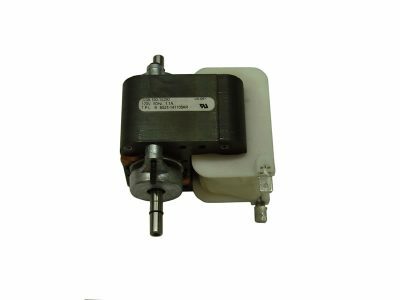 This motor in conjunction with the electronic motor control board present in these Leslies provides both the slow and fast Leslie speeds. The current updated motors feature long life ball bearings and are designed to run cooler and quieter than the previous motors design. We recommend that a factory-trained technician install this part.